It has been another remarkable year towards our unwavering pursuit of excellence and innovation for U of T Engineering, a year that sets us up admirably for the next five years. In this year-end issue, we spotlight some of our Faculty's achievements, initiatives and activities. We have unveiled a Draft Academic Plan, we have enhanced academic programs and student experiences, and we have strengthened our sense of community through significant Faculty-wide collaboration. We have received major research grants from, most recently, NSERC CREATE and CHRP-CIHR. Faculty, staff, students and alumni were honoured for their teaching, research, service and leadership. Research achievements were impressive, including, just this month, Professor Ted Sargent and team published their groundbreaking work in Nature Photonics. In addition, ten professors and alumni were inducted into the Canadian Academy of Engineering, while one of our outstanding engineering students, Mauricio Curbelo (CivE 1T3), was elected President of ESSCO. On behalf of the Faculty, I would like to congratulate all who have been recognized this past year, those newly appointed and new to the Faculty, and all who graduated this month at Convocation Hall. I thank you for contributing to another rewarding year in the Faculty, and wish you and your families an enjoyable summer. I look forward to a new academic year of distinction as we continue to pursue excellence. 2010–2011 was another year filled with exciting activities, inspiring beginnings and great rewards. 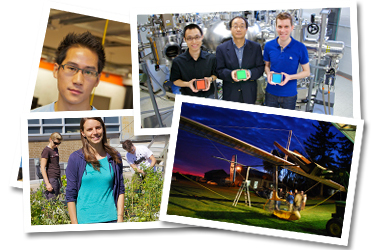 Check out our photo slideshow of U of T Engineering people and events throughout the year. With the release of our second Annual Report of Performance Indicators, we have been able to build on the solid milestones established in the first report to measure our progress. 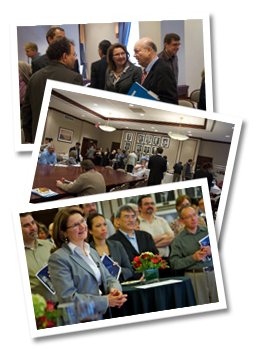 The 2010 report included new chapters on Advancement and Communications and proved to be an important resource overall in the development of our Academic Plan. The Faculty's Draft Academic Plan is a result of thorough consultation, reflection and strategic planning that began in fall 2009. The Academic Planning Steering Committee developed an Academic Planning Framework. Engineering's departments, institutes and divisions, as well as administrative units, students and alumni, then responded to the Framework's questions outlined in eight topics. This provided the foundation on which the plan was built. The Draft Academic Plan's chapters are: Positioning; Culture of Excellence; Educating Future Engineers; Student Experience; Research Foci; Collaboration, Outreach & Influence; and, Resource Allocation. The Draft Plan, which renews Stepping Up and builds on rigorous and reflective self-study, affirms U of T Engineering's long-term goals and sets out the five-year measurable priorities we will act upon. It guides our actions, provides a framework for academic and administrative units to collectively contribute to our community and to their disciplines. In addition, it allows us to remain nimble, making it possible to measure, assess and adjust our activities while maintaining a focus on our over-arching vision. Final approval of the Academic Plan will be sought at the Faculty Council meeting on October 6, 2011. 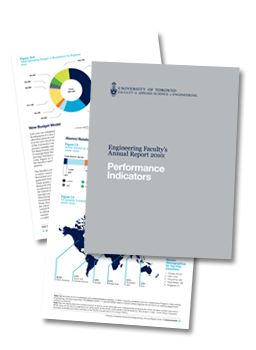 U of T Engineering continues to be the first choice for many high school students in Canada and the world. As of June, the Office of the Registrar counted 8,761 applications – a significant jump from 7,881 in 2010. And not only did more students apply to be part of the class of 1T5, the academic strength of the admitted group also increased. The tremendous boost in numbers this year is a reflection of not only our ongoing effort to recruit the strongest minds to the Faculty, but also our continued work in strengthening student experience. This fall, the Engineering Student Recruitment & Retention Office unveiled video blogs to allow new, upcoming and aspiring U of T Engineering students – and parents – to get a glimpse of first-year student life. What's more, there are also a slew of new and ongoing resources to ensure student success, such as the Engineering Student Engagement Group, Success 101 and our new lecture capture and online teaching initiative. This year, our U of T Engineering students played a significant role in encouraging and bringing awareness to kids and teens about the thrill of an engineering profession – from National Engineering Month activities, to mentoring students from the Asian University for Women. It was also another successful year of pre-university outreach by the Engineering Outreach Office, which hosted events such as DEEP, Jr. DEEP, ENGage, Go ENG Girl, Engineering for Educators (E4E), a trip to Google for Regent Park girls, as well as Girl Guide Engineering Badge Day. This year has been one of much international collaboration. The Department of Mechanical & Industrial Engineering is partnering with Peking University, offering joint projects for design capstone courses for students from both universities, while this is the first year the Faculty introduced the Structured Exchange Pathways program. The collaboration between U of T Engineering and University of Tokyo also celebrated its 10th year of its research exchange program – UT² – this month. As well, to further enhance students' global perspective, Professor Murray Metcalfe (MIE, Globalization) and Professor Sanjeev Chandra (MIE), Acting Vice-Dean, Undergraduate, co-taught a course entitled Defining Energy Futures in India, at the Indian Institute of Technology's (IIT) Woodsworth College Study Abroad program. More than a dozen U of T Engineering students participated. And as of 2010, the Faculty has partnered with New College for the International Foundation Program (IFP), which provides English-language training for academically strong international students, who can then be conditionally admitted to the Faculty. As the economy continues to rebound, job prospects for the Class of 1T1 are promising. Particularly well placed are students completing the Professional Engineering Year (PEY) program. The 2010-2011 academic year saw the program bounce back with 553 PEY engineering students – an increase of 91 students over the previous year. In addition to the PEY Program, the Engineering Career Centre (ECC) now has programs that suit the needs of individual students within their disciplines, such as the Engineering Summer Internship Program (eSIP) and Transportation Career Development program (TCD). Also, the first Engineering Career Centre Advisory Board was established in June 2011. This new group emerged in response to our need to broaden our outreach and create a formal network inclusive of students, staff, department industry liaisons, faculty and employers. Bringing together this diverse group will allow us to explore new strategies and models that build upon the quality of our students' experience and prepare them for the evolving marketplace of local and global opportunities. The 17-member board held its first meeting on June 28, 2011. As we move towards measuring competencies, we are combining our program reviews with external reviews. External reviews have been conducted for ChemE, EngSci and UTIAS. Going forward, undergraduate programs will be measured against the 12 Graduate Attributes introduced this year by the Canadian Engineering Accreditation Board (CEAB). The new outcomes-based approach requires programs to develop a continuous curriculum improvement process, which involves setting learning objectives and measuring how well graduating engineers meet these goals. The results of the measurements will be used to inform curricular changes. These include important engineering abilities such as design, problem analysis and the ability to apply ethics in engineering work. The Faculty Graduate Attributes Committee has been working this year to develop a set of learning objectives that will be used by the programs for this process. We have until 2014 to get everything into place, including a clear set of measurable competencies for each of our nine undergraduate programs – linked to measurable criteria, mapped to courses, assessed in our students and analyzed regularly for continuous improvement. Internally, our new Policy for Approval and Review of Academic Programs and Units, which was approved in 2010, calls for program reviews within an eight-year cycle. The Policy governs the approval of proposed new programs and the review of existing programs at U of T. The University of Toronto Quality Assurance Process (UTQAP) outlines the protocols for the assessment and approval of new programs, review of existing programs, modifications to existing programs and closures of programs. This year, the Faculty announced two new undergraduate minors and certificates that will launch next fall. Along with our current, unique program options, the Engineering Business minor and certificate gives undergraduates the opportunity to acquire concepts and language to be effective in business as an engineer. The new Robotics and Mechatronics minor allows students to explore technologies that turn robotic and mechatronic systems into viable consumer products. Our new Global Engineering certificate, also launching in fall 2011, builds on the work of the Centre for Global Engineering (CGEN), as it instills global expertise in students, combining coursework with international experience. 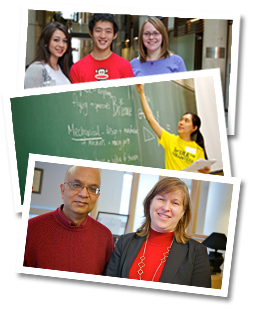 In September 2010, EngSci welcomed 31, third-year students into its new Engineering Mathematics, Statistics and Finance option, a first of its kind in Canada. This new option provides graduates with a quantitative/engineering competitive advantage in the workplace. The Faculty continues to enhance the Graduate Studies program. 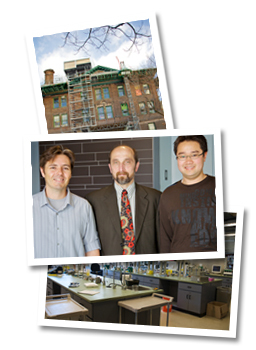 This year, we announced that a new IBBME clinical engineering concentration would start in September 2011. This will give PhD candidates the chance to pursue biomedical engineering with a focus on patient safety, quality care and leadership roles in clinical research. It was also announced this year that, along with the Engineering and Globalization certificate, graduate students will have the opportunity to pursue a certificate in Robotics and Mechatronics next fall. We have enhanced collaboration within the Faculty as a whole, as U of T Engineering is now home to five Extra-Departmenal Units-C (EDU-C). An EDU-C is typically a Faculty-wide multidisciplinary, multidepartmental research and/or academic unit that exists to foster research and scholarly interest in a particular area of academic work. Joining CGEN, Institute for Robotics and Mechatronics (IRM) and the Centre for Sustainable Energy, this year saw BioZone and the Institute for Leadership Engineering (ILead) established as EDUs-C. The Faculty's international stature in scholarly research continues to be strengthened by an environment of collaboration, creativity and enhanced efforts to foster strong partnerships with industry. An example of this is the newly created NSERC Industrial Research Chair on Aviation Gas Turbine Combustions/Emissions Research and Design System Optimization, supported by aircraft engine manufacturer Pratt & Whitney Canada. NSERC's Engage Grants program, which encourages collaborations between academic researchers and industrial partners, awarded funding to 37 new U of T Engineering projects in its first year, representing an additional $905,000 NSERC investment. 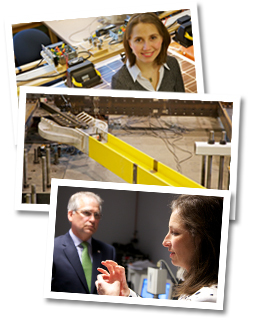 Many of these Faculty projects are developing into ongoing research collaborations. A team of eight U of T researchers led by Dean Cristina Amon (MIE) received a six-year grant worth $1.65 million from NSERC CREATE (Collaborative Research and Training Experience) to help bring clean energy alternatives to largely inaccessible Canadian locations. The project, called Distributed Generation for Remote Communities (DGRC), not only gives our graduate students experience in the renewal energy sector, but also provides cleaner options to 150 remote Aboriginal communities that rely on diesel generators. The Centre for Commercialization of Regenerative Medicine (CCRM) was one of five projects approved by the Government of Canada's Networks of Centres of Excellence (NCE) as part of its Centres of Excellence for Commercialization and Research (CECR) competition. The $15-million grant will support the development of products to help treat devastating health conditions such as heart disease, diabetes, cancer and spinal cord injuries. Led by Professor Peter Zandstra (IBBME), the centre includes six partners in the healthcare field and universities. BioZone, our new centre for collaborative bioengineering research, led by Professor Elizabeth Edwards (ChemE) was officially approved by Faculty Council, bringing the number of EDUs-C up to five. Its new space is currently under construction in the Wallberg Building. CivE researchers test a new class of Portland limestone cement in partnership with Ontario's Ministry of Transportation and Holcim (Canada) Inc.
As part of our ongoing commitment to communicate with students, Dean Cristina Amon participated in two more Town Hall meetings – in November and February – giving students an opportunity to share their thoughts on pressing topics raised in Globe and Mail's Canadian University Report 2011, as well as issues like orientation, exam preparation, recognition for extra-curricular work and how the Faculty follows up teaching evaluations. She reported on the progress on items raised at earlier Town Halls, such as developing a compressed exam schedule, wireless access and math skills testing. A request at the November Town Hall for increased access to the Sandford Fleming Building was addressed by the time of February's meeting. 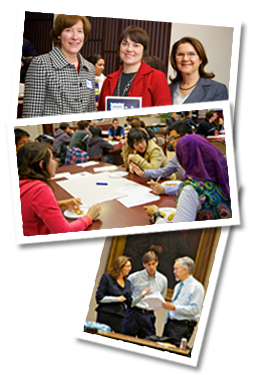 Results of the Skule™ census survey developed and conducted by the Faculty's student leadership, with input from faculty, were presented at May's Chairs and Directors meeting with the goal of further strengthening administrative planning. More than 175 staff and faculty took part in Faculty Day, with its theme of 'Reconnecting.' Participants also had an opportunity to learn more about the wide-ranging research happening within the Faculty. The 4th annual Celebrating Engineering Success paid tribute to teaching and staff excellence, with the recognition expanded to include the new Teaching Assistant Award. Externally, the Faculty also had a remarkable year with recognition and awards, including the Acta Biomaterialia Gold Medal, the Trans-Canada (McKee) Trophy, IEEE's Outstanding Engineer Award, the Globe and Mail's Top 40 Under 40™ and 25 Transformative Canadians, McMaster Alumni Association's Young Alumni Award, the 100 Most Powerful Women, the NOVOFER Foundation's Dennis Gabor Award, the Order of Ontario, the Canadian Engineering Memorial Foundation's Undergraduate Scholarship, NSERC's André Hamer Postgraduate Prize and YWCA Toronto's Woman of Distinction Award. Inductees in the past year included three as Foreign Associates of the NAE, in September and February, two to the Royal Society of Canada, 10 Fellows to the Canadian Academy of Engineering and six Fellows to the American Association for the Advancement of Science. U of T Engineering is about gifted students, forward-looking education, research innovation, world-class faculty and dedicated staff. Telling these stories is done through a series of three e-newsletters (staff and faculty, alumni and students), our annual report, the website and the alumni magazine Skulematters. The Engineering Strategic Communications office is focusing on building a team of multimedia communicators. The goal is to set U of T Engineering apart from our peers in a way that will increase engagement, excitement and advocacy. With the revitalized Faculty website in place, we have been able to extend that refreshed look and feel to other Engineering areas. Renewed sites include EngSci, MSE and the Registrar's Office, while new sites like Engineering Strategies & Practice, Leaders of Tomorrow and Outreach have added to our Internet presence. The Career and PEY sites have been consolidated to create a better user experience and more unified look. 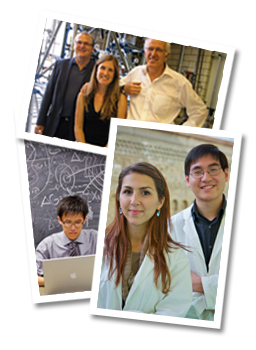 We've enhanced our social media presence as well, such as with the Faculty's Twitter account: @uoftengineering. The Engineering Faculty retained its 19th place position for the second year in a row in the 2010 Shanghai Jiao Tong Academic Ranking of World Universities (ARWU). The Faculty remained the premier institution in Canada for the fourth consecutive year, based on the 2010 Times Higher Education (THE) World University Rankings that ranked our Faculty first in the country and 13th in the world. And in the first-ever QS World University Rankings by Subject U of T Engineering placed first in Canada in all Engineering disciplines. More details on this year's infrastructure renewal. The Office of Advancement continues to build on the previous year's efforts with the introduction of new programs and improvements to existing ones. A key goal is strengthening alumni outreach and laying the groundwork for philanthropic campaigns. For the first time, the Faculty hosted alumni receptions in Shanghai, Singapore, Hong Kong and San Francisco, with Dean Cristina Amon in attendance. The Calgary Skule™ Alumni Chapter hosted two events, raising close funds in support of the Calgary Skule™ Admission Scholarship Fund, with Professor Doug Reeve, Chair, ChemE, as keynote speaker. We have also initiated comprehensive stewardship programs such as, the Dean's Roundtables for Skule™ Society members, Graditude and the GOLD Program, which encourages philanthropy among our youngest alumni. In an effort to expand our alumni's involvement with the Faculty, we have established new committees dedicated to advancement activities, and worked with Faculty departments to strengthen their respective Boards of Advisors. Most notably, we recruited a new Skule™ Society Committee. This committee will encourage alumni to invest in our Faculty at leadership levels. In partnership with academic leaders and professors from across the Faculty and the Division of University Advancement, we are actively reaching out to alumni, friends and potential supporters to discuss how their commitment will strengthen our Faculty's excellence. To that end, we are pleased to see an increase of alumni and donor meetings – from about 250 in 2009, to more than 360 in 2010. 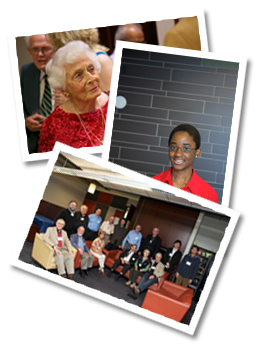 As well, this past year saw generous donations and support from alumni and friends. Most notably, we received $522,000 in donations from Skule™ Society members. Our Biz Skule™ series also continues to thrive. Headliners from the past year include notable U of T Engineering graduates such as, CEO of Kobo Reader, Michael Serbinis (IndE MASc 0T1) and President of Guggenheim/Claymore Investments, Inc., Som Seif (IndE 9T9). In March, Skule™ Nite celebrated its 90th anniversary. And in May, we widened the circle of alumni participation by inviting graduates from 5, 10, 15 and 20 years to our Spring Reunion celebration, along with alumni in years ending in 6 and 1. In addition, this past year saw the Engineering Alumni Association (EAA) honouring nine graduates for their achievements in the engineering profession. This includes five new EAA Award winners and four new Hall of Distinction inductees. Also, 10 alumni received Arbor Awards in 2010, while notable alumna Julie Payette (CompE MASc 9T0) was promoted to Officer, Order of Canada, and two alumni – John Poulos (ElecE 9T7) and Som Seif – were recognized as two of Canada's Top 40 Under 40™. What's more, 18 recent U of T Engineering graduates were recognized with the 2011 Gordon Cressy Student Leadership award. Most recently, U of T recognized Koh Yong Guan (MechE 7T0, MASc 7T2), Anne Sado (IndE 7T7) and Dr. Bert Wasmund (ChemE PhD 6T6) with honorary degrees for their extraordinary achievements. This year, Professor Jonathan Rose (ECE) was re-acclaimed as Faculty Council Speaker. At the three meetings of the Faculty Council held in the past year, items discussed and approved included confirmation of the establishment of BioZone as an Extra-Departmental Unit-C (EDU-C). As well, an Engineering Business Minor, Engineering Business Certificate, Global Engineering Certificate, IBBME Clinical Engineering concentration in the PhD program and an Engineering Minor in Robotics and Mechatronics were approved. Also approved were the Graduate Degree Level Expectations, the modified General Terms and Conditions for Academic Awards, edits to Regulations on Self-Initiated Minors, and the recommendation to make Advanced Functions a required course for Ontario High School students. Council introduced a review of the Guidelines for Granting a Deferred Examination, updates to the Manual and Terms of Reference of the Examinations Committee and the Terms of Reference of the Academic Appeals Board and revisions to the Promotion Regulations for First Year Students. Documentation for Faculty Council is available on the website. Elected to the U of T Academic Board was Graeme Norval (ChemE), Associate Chair and Undergraduate Coordinator for a three-year term beginning July 1, 2011. Two Engineering alumni, Keith Thomas (MechE 8T7) and Chirag Variawa (MSE 0T9, IndE PhD candidate) were elected to the University's Governing Council. Members of the Faculty have played important, influential roles as President of CAE, President-Elect of EIC, Chair of GEDC, Past Chair of CSME, and on major NSERC committees. Others have taken part in CEAB review visits to universities, such as Waterloo and McGill, while professors have also taken on significant roles in international professional societies like NAE, ASME and IEEE. The Faculty celebrates the contributions of its community members retiring this year. The Engineering Newsletter will be on hiatus through the summer. Volume 5 begins in September 2011, when we will once again bring you key U of T Engineering stories from the 2011-2012 academic year.